Just like any skill, leadership takes time to foster and nurture. From the get-go, you can’t expect to handle every type of situation that happens in a work setting—you sharpen your skill through learning and experiences. As an effective leader, one of your core responsibilities is to steer your team to success. You are the captain of the ship; therefore, your members are looking up to you and expecting you to have a clear course of action and a goal in mind. However, that’s not all you have to do! No leader is perfect, but you can always try to improve your skills in driving your team to its peak performance. Here are some tips to better your leadership skills. More than knowing their job functions and memorizing their names, try to start a conversation and know their likes, dislikes, and quirks. This small act of interacting with your employees on a personal level builds trust and strengthens your bond as a team. This could encourage your members to feel more at ease with you as well. The goal here is to have them respect your authority—not fear it. The simplest ways to do so is to treat them at the same level as yourself and everyone else. Your mood or mindset will influence the atmosphere of the room. If you’re always cranky or in an off mood, it might scare off your team members or foster fear in them. Tension will be present in your environment, hindering communication from running smoothly. 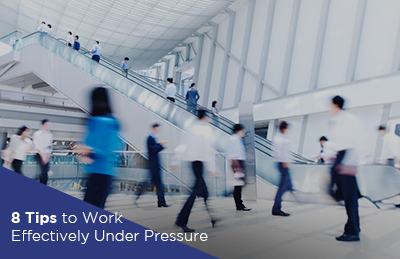 Strive to maintain a calm persona during moments of high pressure, and cheer for your members during tougher times. Leaders don’t have to do everything on their own—your team is there to help you actualize your goals and vision. 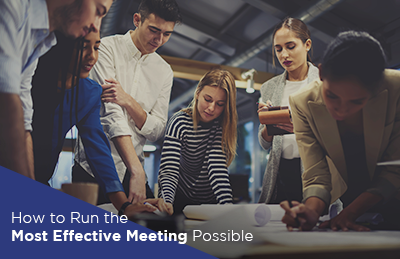 Delegating tasks can help you discover hidden areas of strength in your employees, as well as give your team members a chance to stretch their abilities beyond what they already do. Recognize the right people who can accomplish the job that needs to be done. Their success is your success, and vice versa. 4. Encourage your members to speak up. Let them know that their ideas will be heard and that your ears are always open for suggestions. You can have a combination of group and one-on-one meetings to get a feel of where everyone is most comfortable. Your team members will be more inspired to follow your lead if they can see you bringing ideas to the table. A leader doesn’t just bark orders or boss everyone around—they pour their heart out and hit the daily grind with their team at all times. Some employees also appreciate learning by example. Execute your ideas and show your team how it’s done! 6. Be perceptive of your team’s needs. What are your employees’ top concerns about your organization? Listen to them. Whether this is regarding equipment and logistics or skills building and career growth, you should be prepared to set a course of action for your team. If an employee wants to learn more about their job function, give them the freedom to attend a workshop. If any high-intensity tasks need to be done, such as heavy research or graphic design, make sure your people are equipped with laptops that can take on the work. 7. Give your team honest feedback. Many employees appreciate receiving feedback, regardless of how well they take it in. You must help your team become better versions of themselves at work for the benefit of their personal career growth and the company’s. Having regular feedback sessions is an easy way to achieve this. Remember to be constructive and friendly yet firm at the same time. 8. Have each other’s backs. Be there for your employee’s failures the same way you would be during their successes. Reassure each person in the team that you are an ally, and that you’re on their side. Be a nurturing presence for your employees versus someone they would be compelled to hide things from. 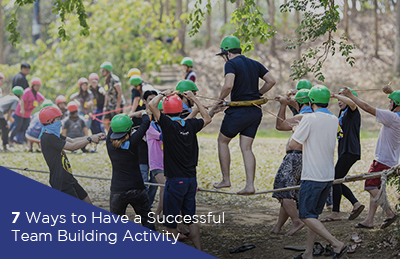 This also helps build trust and foster a sense of camaraderie in the whole team. Leadership is not natural—it takes a lot of work and quick thinking. However, it’s indeed rewarding to expertly steer your organization into greater heights, improve your team productivity, and see your employees discover their talents that can contribute to the company’s growth. Just as any employee never stops learning or taking every chance to enrich their skills, so do leaders. Improving your leadership skills is a smart move in today’s competitive job market, where managers can create an impact on an employee’s overall work experience. Reading materials or attending in-person workshops such Guthrie-Jensen Consultants’ Team Leader Excellence can help shape you to become the leader you want to be. Expect this workshop to help young and experienced leaders alike find more ways they can improve their managerial skills while providing an avenue to connect with likeminded individuals on the same path.